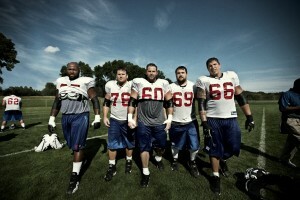 It looks like the 2009/10 season will be the last for this Giants offensive line. This was suppose to be an elite unit that paved the road for the “power” running game and provide Eli Manning with ample time to dissect opposing defenses. That sounded good in theory but in reality the Giants rushed for 1837 yards good for 17th in the league. 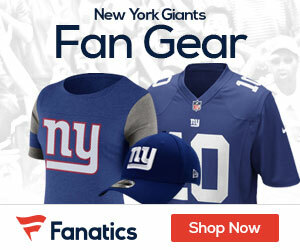 Statistically the Giants ranked 11th in total passing stats but Manning was sacked 32 times and was hit 74 times. It just seemed that this line wasn’t the same. Maybe age/injuries have finally taken their toll on starters McKenzie and Suebert. McKenzie’s time as a Giant is probably over, Seubert might stay but I would guess as a back up. Chris Snee is a pro-bowl talent at right guard, he should be a main stay for years to come. David Diehl was abused at times by speed rushers off the edge. He has been an iron man and gave it his all at tackle but I would imagine he moves back to left guard and the Giants will find a replacement for him at tackle. O’hara was named to the pro-bowl and is signed through 2011. He lacks size but is intelligent and a team leader who sometime struggles with run blocking but is solid in pass protection. I like what the Giants found in Will Beatty. He played well when given the chance, look for Beatty to replace Diehl or McKenzie at tackle. What scares me the most about the offensive line is the reserves. They include Kevin Boothe, Guy Whimper and Adam Koets along with Jacob Bender and Ruben Riley on the practice squad. When I hear any of those names entering the game the first thought that comes to mind is OH OH look out Manning. Jerry Reese needs to find some of that GM magic and find some depth and one starter via free agency of the draft. This year’s draft looks like it has lots of potential at the offensive line position. Hopefully the Giants will get some much needed help along the line. I feel that the core of the line is still there with O’hara, Snee and Diehl. Beatty got some much needed on the job training and should move right into a starting tackle position next year. That leaves one starting spot to fill and a desperate need for back-ups. Lets hope the Giants solidify their offensive line issues because lets face it, it all starts up front with both the offensive and defense. Manning can’t throw for another 4000 yards if he is on his back and any running back is going to struggle when the opposing defense is in the backfield all day. I thought Boothe looked OK. Not good enough to be a starter but to give us some dpth next year. Never seen anything from Whimper or Koets to make me think they could contribute. Would like to see Seubert take a pay cut and come back as a versatile depth guy. If they can get a “road grader” RT, move Diehl back inside to G and have Beatty at LT that seems like a much improved grouping. I thought Boothe look better at guard than tackle. But I agree that his role should be as a back up. I’m all for Diehl to LG, I’d keep Beatty at RT and I’d look for a capable veteran free agent to play LT.